Wise Blend socks by Wrangler are the best way to stay warm. They are made with Merino Wool that will keep you warm and cozy. 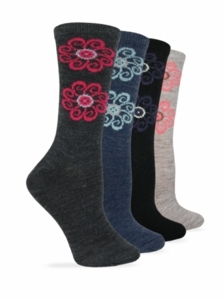 This sock has a great floral design that brings a whimsical touch to your winter gear.